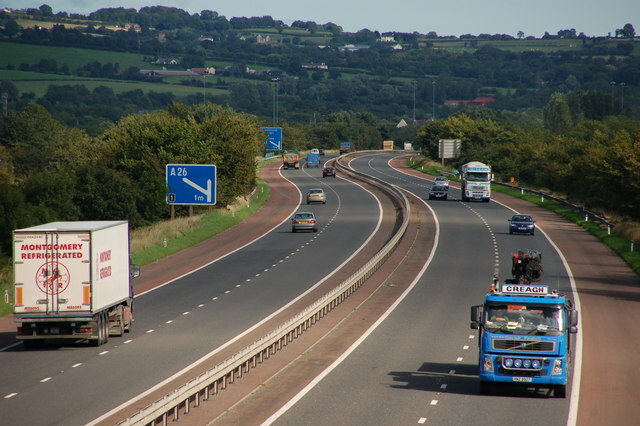 For the background to the M22 see J0989 : The M22 at Ballygrooby. This is the view towards Belfast from the Whitehill Bridge near Randalstown. J1189 : The M22 near Randalstown (2) shows a similar view in 1980. This page has been viewed about 144 times.